June 10, 2018by Molly O’HaraNo CommentsAll, Animals Rule! Eva Smith* of Norwich, VT researched the breed heavily before investing in her first puppy when she was still living out west. In her research, some of the most critical things Eva found were that they bark less, roam less, and are more accepting of visitors. They may remain aloof but not aggressive. Sentinel “Senti” came to her from Texas in the spring of 2016 and went straight to work. 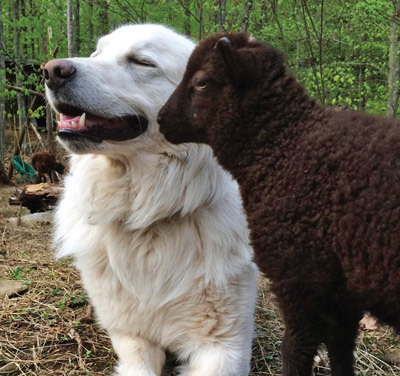 One of the ways to raise livestock guard dogs is to put a separate pen inside the sheep pen so that the puppy and the sheep get to know each other first. Senti ended up at the mercy of two sheep who coveted his food and broke down his fence many times. However, it sent him patrolling early. “I was losing sheep like crazy to coyotes out west. He was the best investment I ever made,” Eva noted. 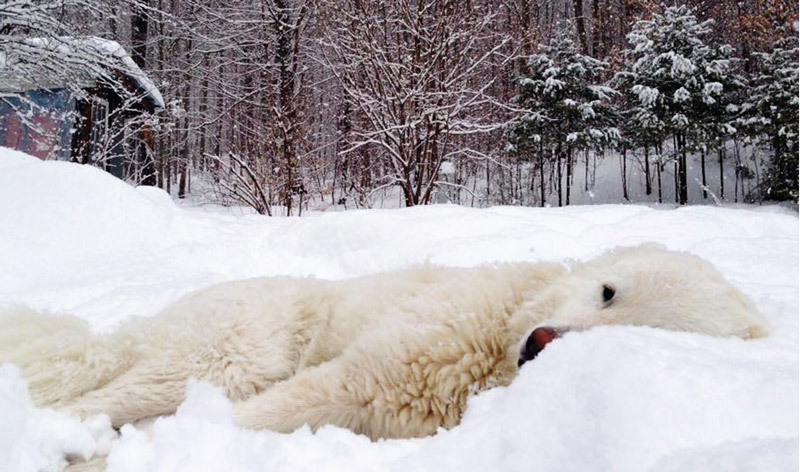 Eva described the Maremmas’ personality as having wolf-like independence and ability to make decisions. They aren’t dogs for the obedience ring! While they will follow the commands of their leader, these dogs aren’t likely to listen to anybody else. That’s an instinctual trait bred into these dogs over centuries. A shepherd would need to be able to trust that his dog would only listen to him and not a potential thief, the dog needs to trust its instincts and make decisions at the moment, and the human needs to make sure that the dog is always set up to have positive experiences from the beginning. 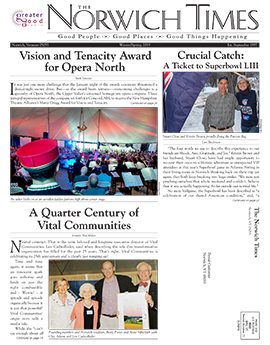 Eva decided to move back to Norwich, VT in late summer 2016 and brought – along with her children, house pets, home furnishings, and the rest of accumulated stuff from 12 years of life out there – 16 sheep and Senti in a trailer. Sheep aren’t the only animals Eva and her family have, of course. She also has two alpacas, a mini horse, goats, and chickens. 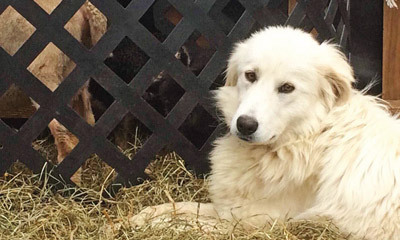 Last winter, she acquired a second Maremma, Ginger, who is driven to be with the lambs. Eva now summers her sheep at Sweetland Farm in Norwich, VT. Right now, while the lambs are being born, Ginger is in with the alpacas and the mini horse as she is just about to turn one and still in training. Ginger does make daily visits to see “her” lambs and sheep, though. Senti, on the other hand, still hates being inside, but seems to enjoy being a family farm dog. He loves his family and protects the area around the house, the sheep in the winter, and the other animals in the summer. Unlike their neighbors, Eva and her family haven’t had a single bear problem at their house, though Senti will bark for much of the night if a bear is around. Later this summer, Ginger will get her chance to actively guard her flock, when Eva’s lambs are old enough for the sheep to move to a different pasture at Sweetland Farm. It will be a good move for all involved. Sweetland Farm will get a new pasture grazed, allowing the older one to come back, the sheep will have fresh grass, and Ginger will be out and able to do her job. When small agriculture works cyclically like this, even if it means involving a few farmers, we get back to a more environmentally friendly agricultural system, one that has been practiced for centuries.